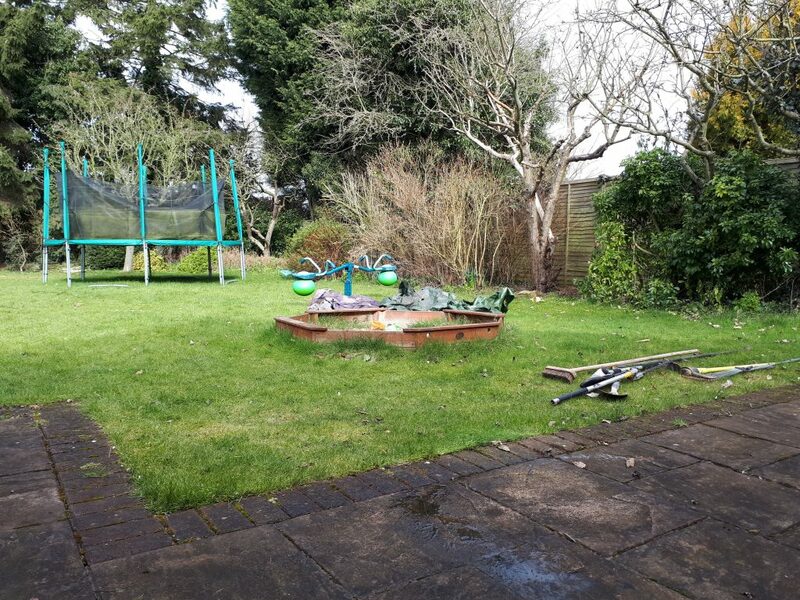 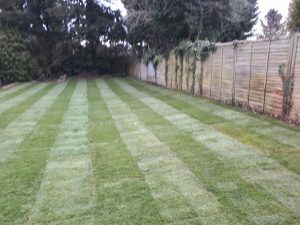 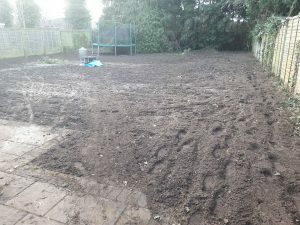 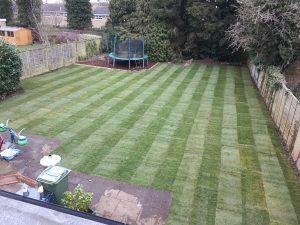 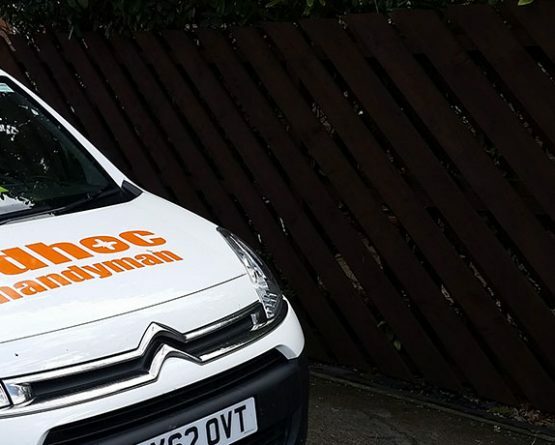 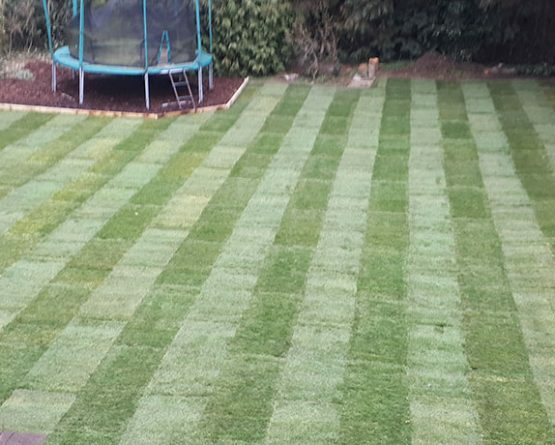 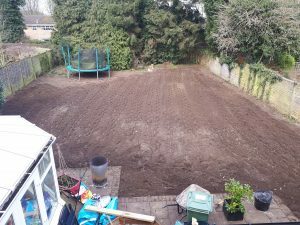 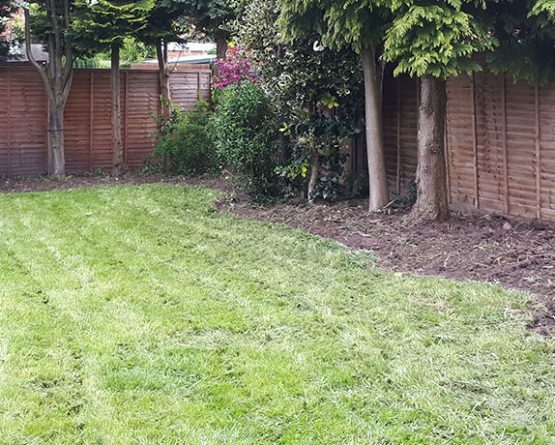 The customer had wanted a new lawn and make a child friendly garden without the need for much garden maintenance. 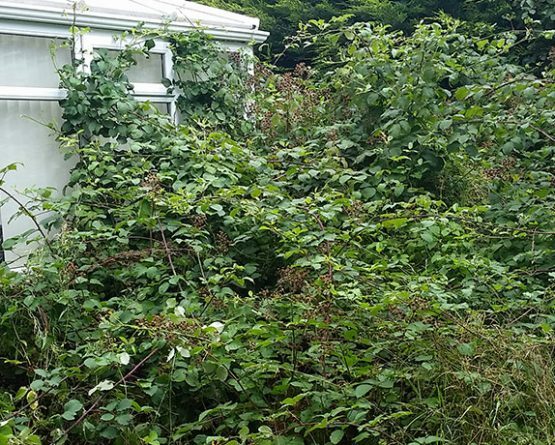 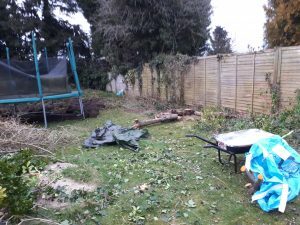 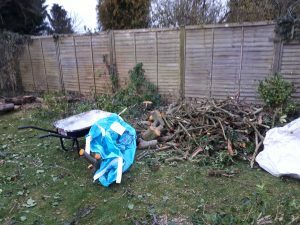 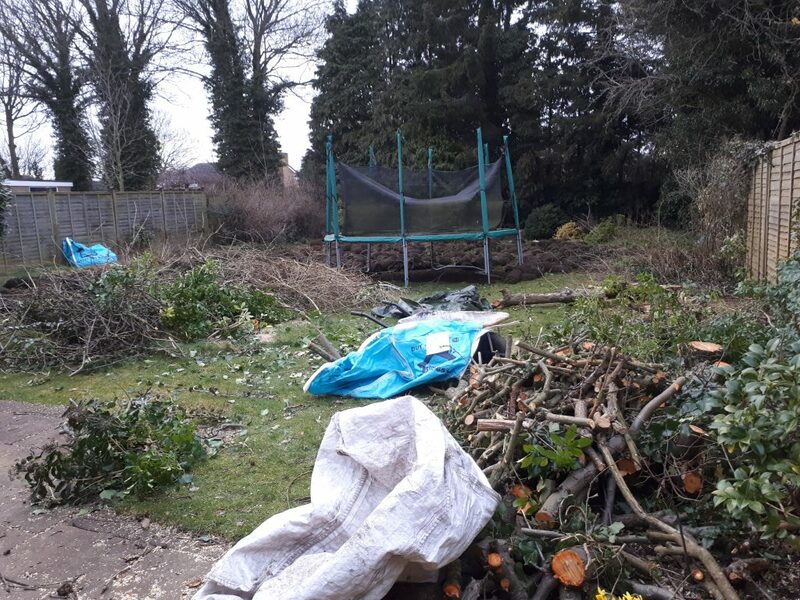 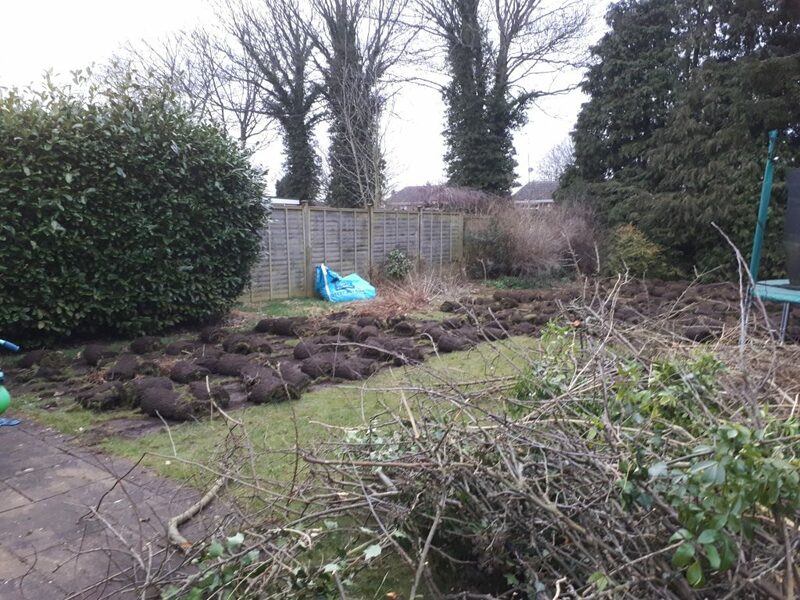 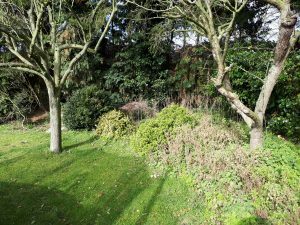 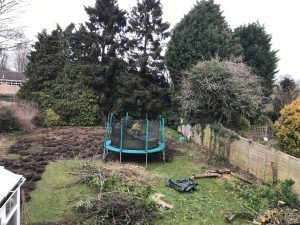 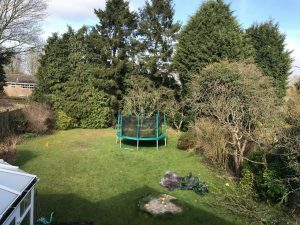 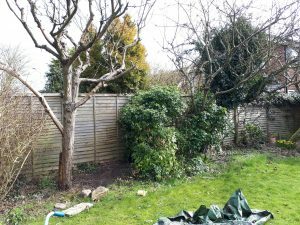 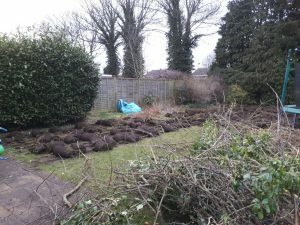 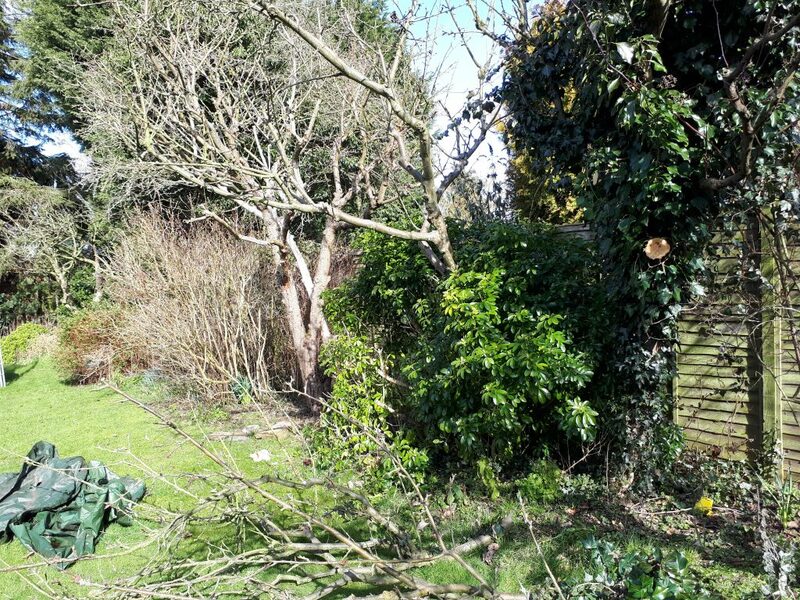 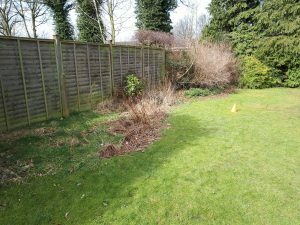 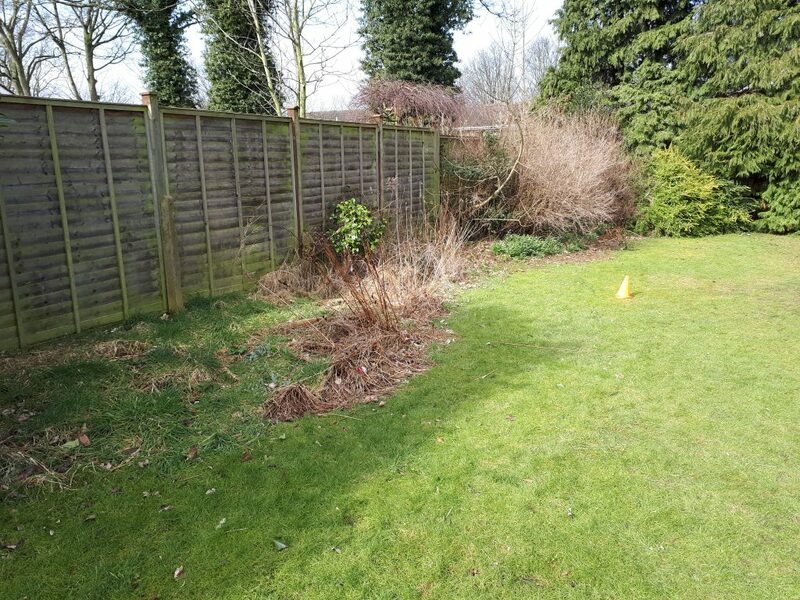 All borders, trees and shrubs were removed from the side areas to make way for the new lawn. 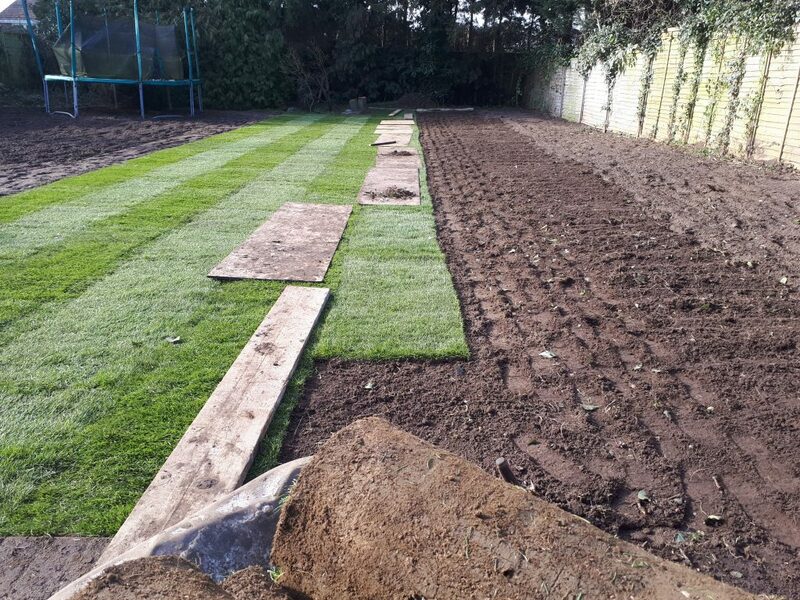 The old turf was removed, tree stumps were grinded out by a contractor while the soil was prepared by rotavating and leveling to ensure it was ready to take the new turf. An area was provided to take the trampoline. 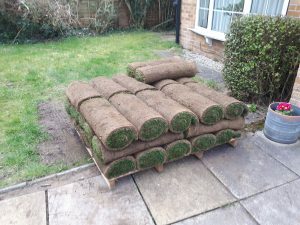 Landscape fabric was laid under the bark to supress any weed growth. 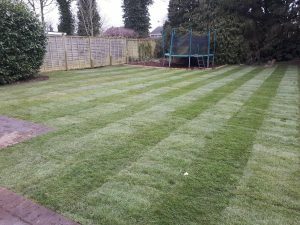 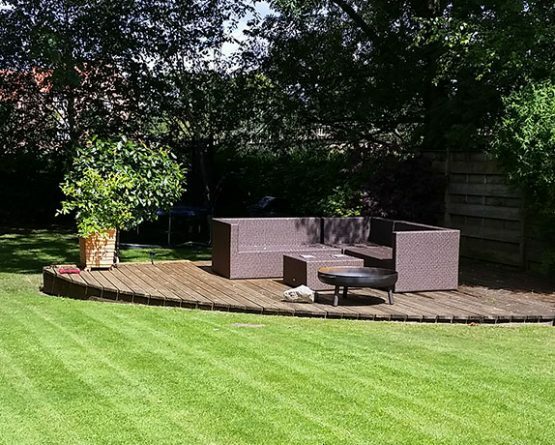 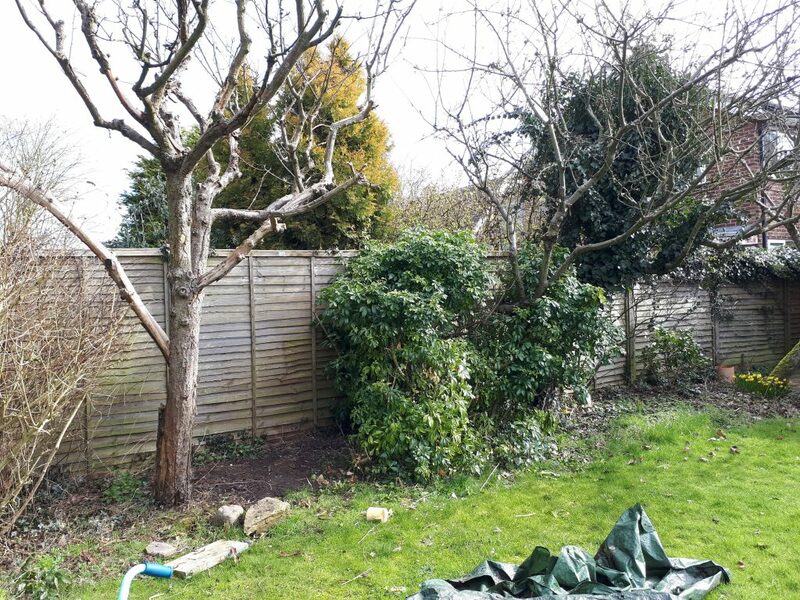 Separating the lawn and the bark by installing a timber edge was done to avoid migration of the bark onto the new lawn.